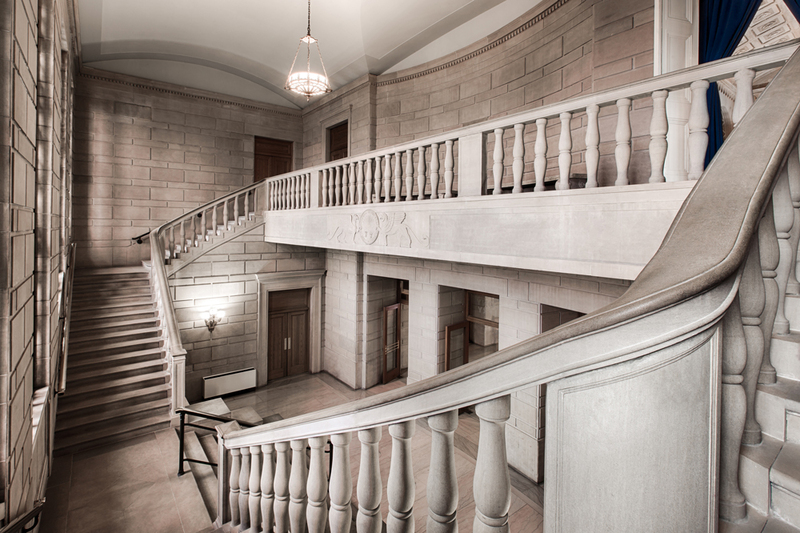 Stambaugh Auditorium is a non-profit public auditorium which opened in 1926 through the generous gift of Youngstown area businessman, Henry H. Stambaugh. The facility is located on Fifth Avenue across from Wick Park in Youngstown, Ohio. The centerpiece of the complex is the Concert Hall which has a seating capacity of 2,553 and is renowned for its near-perfect acoustics. The auditorium also features an 8,800-square-foot ballroom (Jeanne D. Tyler Grand Ballroom), a recital hall (The Anne Christman Memorial Hall), and a formal garden at the southern end of the building, all of which can be rented for public, business, or private functions. The venue welcomes national and international performers on a regular basis while also hosting local and regional entertainment and public events. Stambaugh Auditorium was listed on the National Register of Historic Places in 1984. Equidistant from Chicago and New York, as well as from Cleveland and Pittsburgh. Cleveland Hopkins Airport and the Pittsburgh International Airport are within an hour; New York or Chicago, an hour’s flight. Access to interstates 80, 76 and 11 one block away. Over a million people live in the immediate 6 county trading area. Youngstown State University with over 14,000 students two blocks away.